I am very happy about this weekend’s progress; although, I did not exactly stick completely to my March project goal list. I did have fun which is the most important thing. The next two projects rose from the triple zipper pouch (TZP) finish and trying to put ideas together for new stock (targeted for Western Wakes Farmers Market Craft fair in May). I made a pencil case, out of the same fabric I used for the TZP. 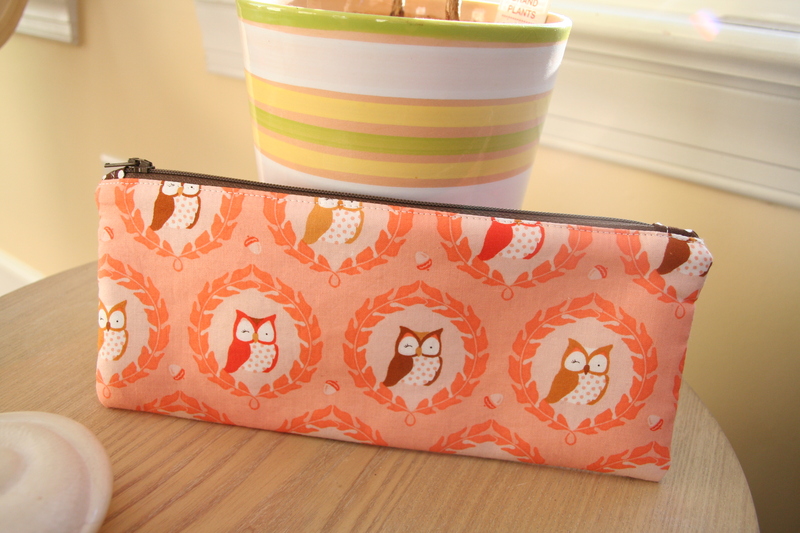 This resulted from a mistake when I cut the fabric the wrong direction, based on the pattern, for the TZP….but it worked perfectly for this little pencil case (measures ~9 in. x 3.75 in.). How could I ignore the “Is that for me, Mum? Where’s my case/pouch?”. So, the second project along these lines was for a single zipper pouch for my son. 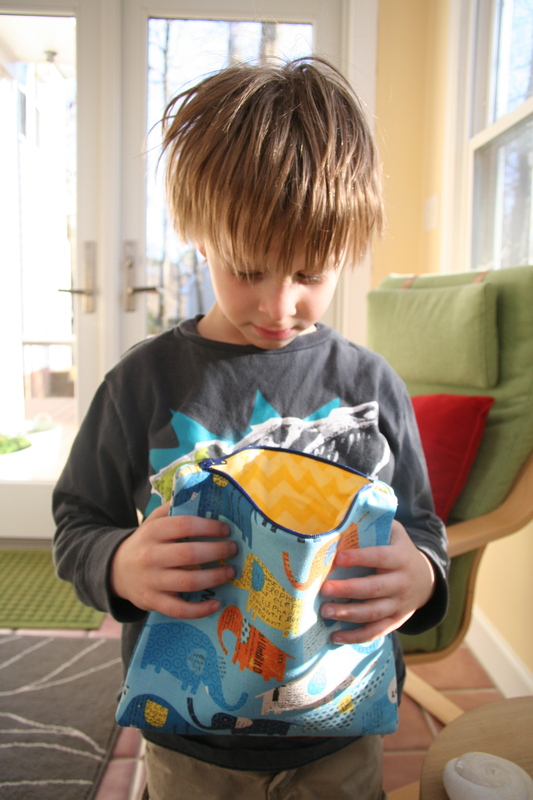 I love this fabric, it is so fun and great for a boy. It is “Blue Newsprint Circus Elephant” by Nancy Wolff for Kokka Japanese Fabric for the outer fabric and “Yellow Chervon” by Riley Blake for the inside. The pouch measures ~ 9 in. x 10 in. .
That’s it for the weekend, back to working on my WiP for this week and this time its on my March goal list. 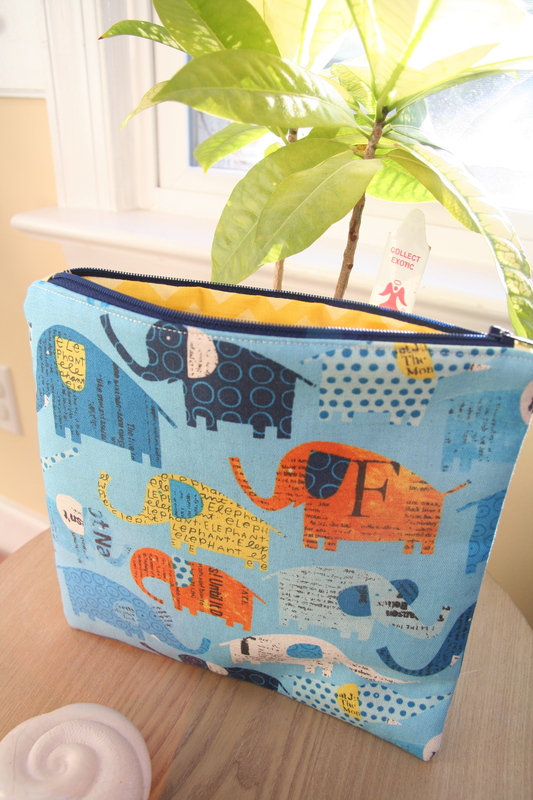 This entry was posted in Uncategorized and tagged blue newspaper circus elephant, envelope cushion back, Japanese Fabric, kiwi cushion, Les Amis, Nancy Wolff, paper piecing, patchwork, pencil case, quilting, sewing, single zipper pouch, Spoonflower, triple zipper pouch on March 24, 2013 by mlwilkie. Lovely work! 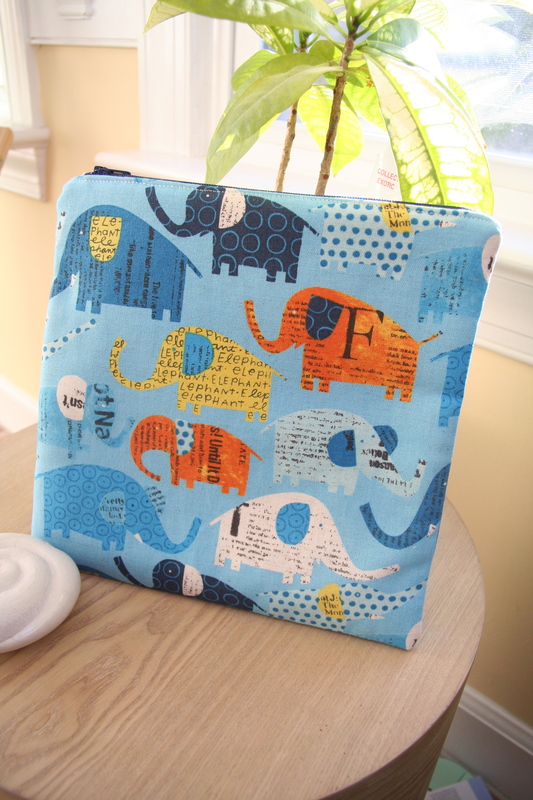 Love the Kiwi cushion and all the fabrics are gorgeous, particularly love the Elephant one! Thank you :-), I have the penguin fabric too I am planning on using for my son’s teachers gift. i love the fabric and the design. I love the kiwi! I’ve been a little afraid of that kind of paper-piecing. I’ve only done strip quilts with foundation paper. Your pillow is very cute! 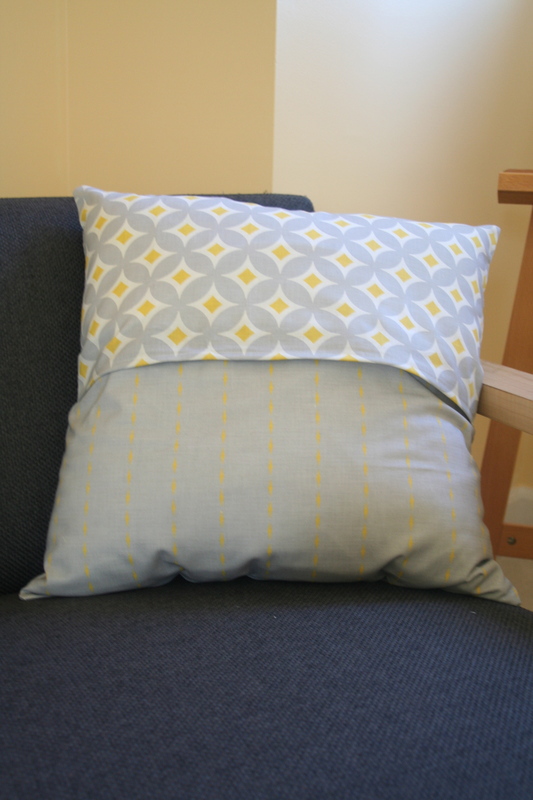 I have made a couple of pillows myself already and was very happy with how they turned out. I still haven’t tried any pouches. Zippers and I don’t get along! I love that pillow! Very whimsical and fun! 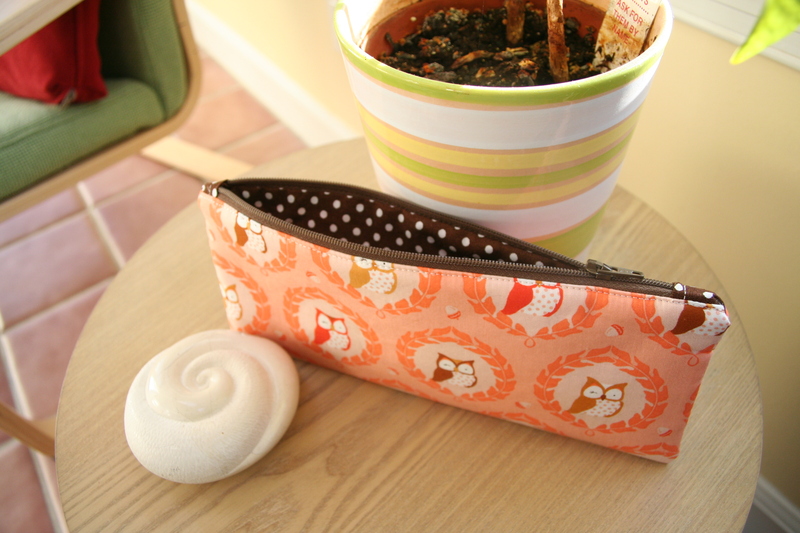 I love a simple zipper pouch, and the fun fabrics you used. Lovely work I love the fabrics you used for the pouches. Adorable hair! 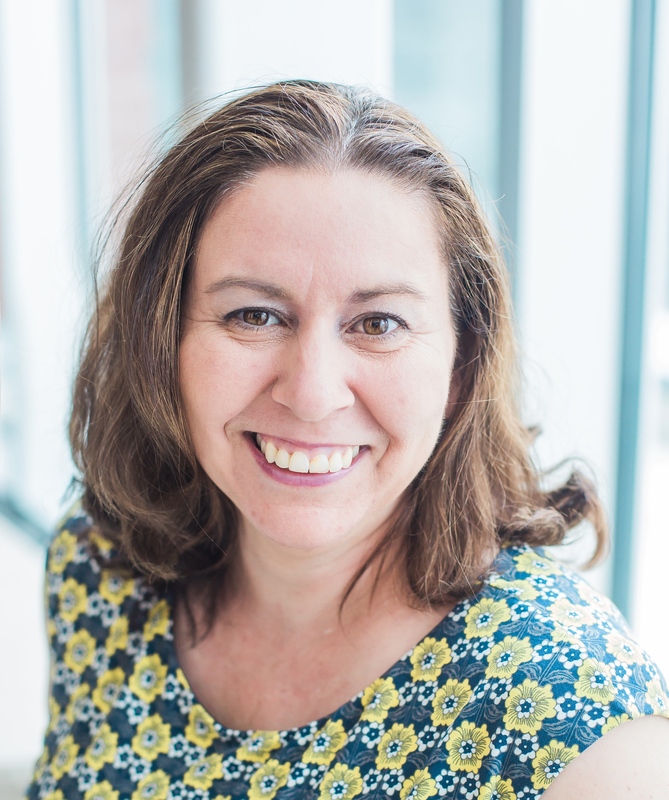 Visiting from let’s get acquainted. Love your owl pencil case – I really have been meaning to make one for my daughter but other projects just keep taking over. 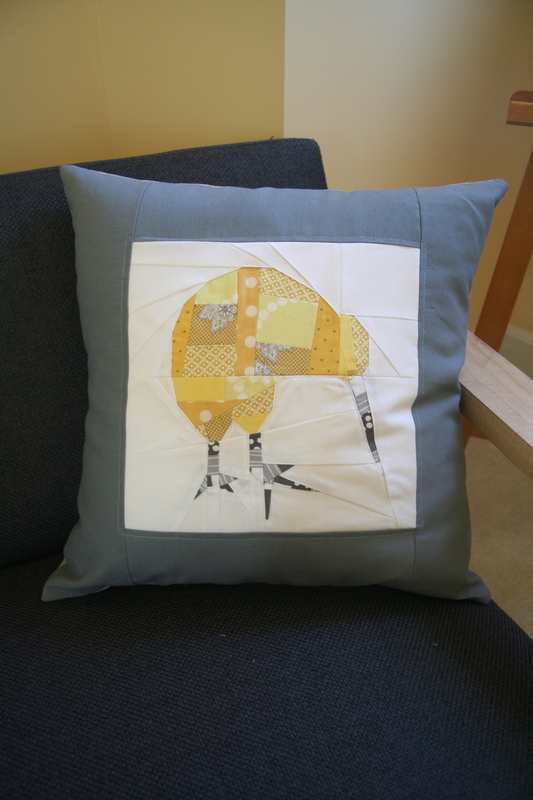 I think your kiwi pillow turned out very sharp and cool and looks awesome with your contemporary colored sofa. Great projects and colors all around!